Cochise is on the hard at Triton Marine and we periodically check in on the vital signs from the phone, tablet, or desk computer. 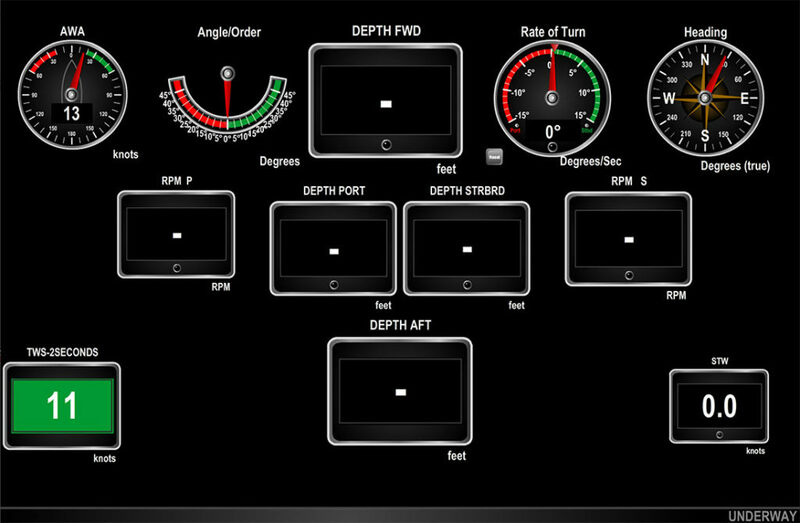 This ability is just one of the reasons we believe Maretron’s N2K view is a vital cruising tool. This page on the DC and AC power system status. The red 28.8 volts indicates excessive voltage, unless we are equalizing the batteries, which is the case here. For remote viewing, away from the boat, special pages can be created to fit a different sized screen format. 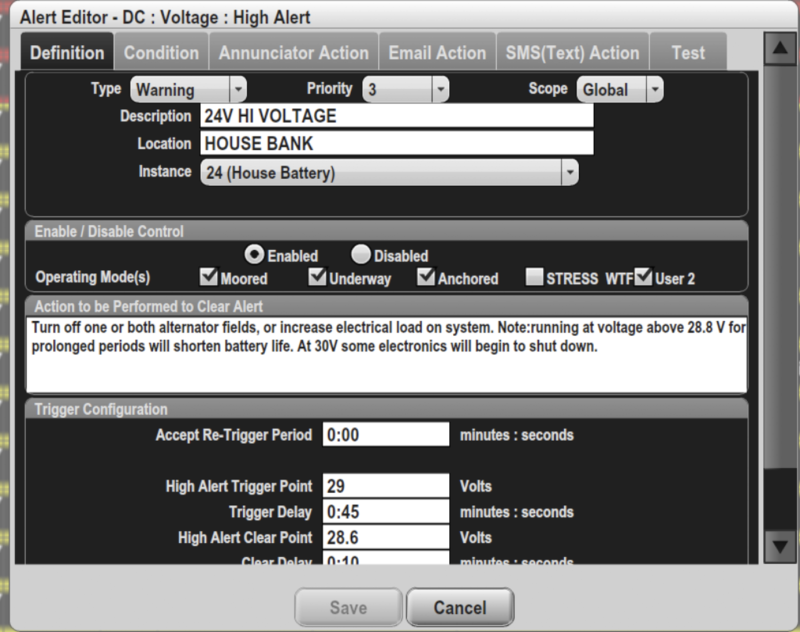 A key feature in Maretron’s system are the alerts and warnings when something is out of range. 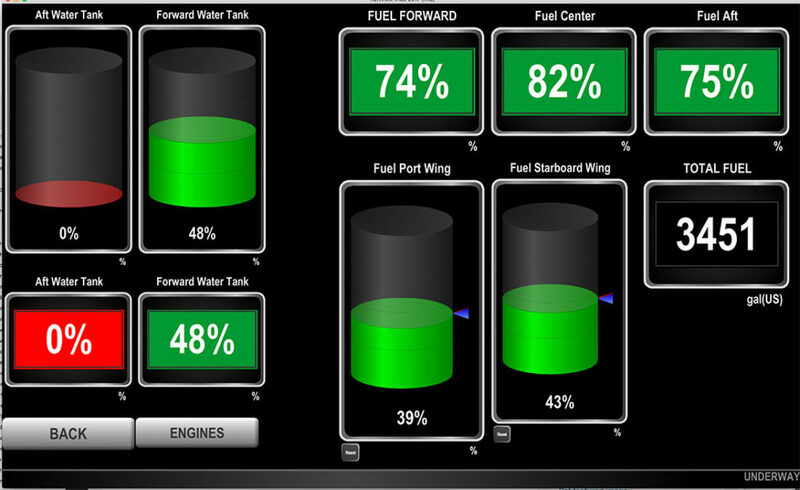 While this started out as a tool to warn about major issues such as a fire or bilge alarm, we feel that its highest calling is as an instructional tool. For example you might have three voltage alerts, each at a different voltage, and each with a specific set of instructions. 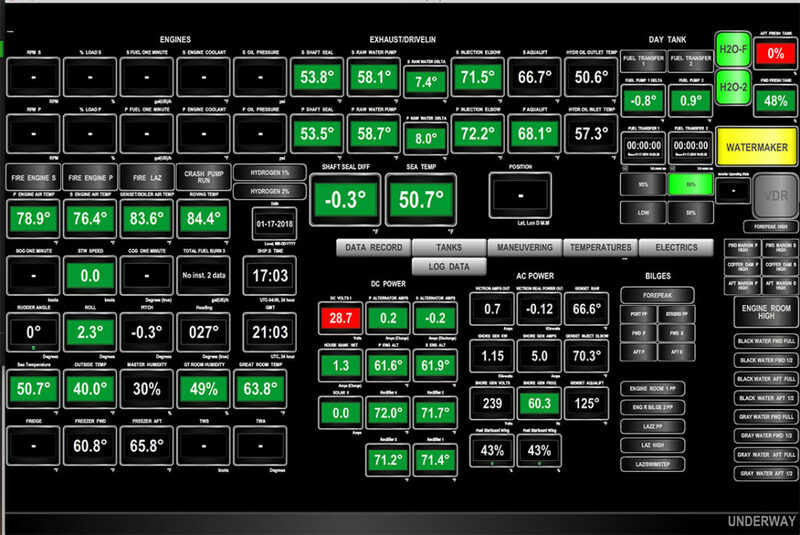 This screen helps us with tank volume management. And this is what we have up when maneuvering. Wind, course, speed, RPM, and the four depth transducers are all easily programmed. 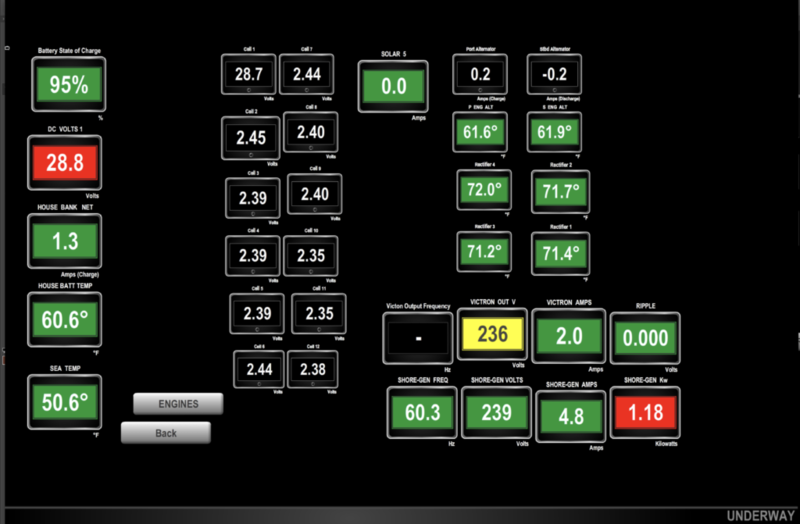 Once we get back aboard towards the end of March we will discuss the Maretron N2K data system in more detail. This entry was posted on Thursday, January 18th, 2018 at 1:32 pm and is filed under Dashew Logs, FPB 78, The Logs. Both comments and pings are currently closed.